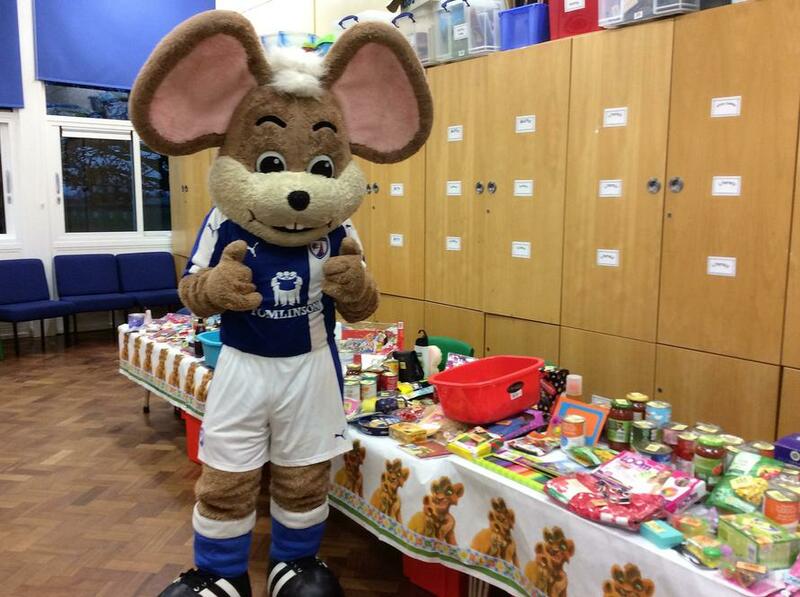 Chester mouse, the Chesterfield football club mascot opened the school fete. 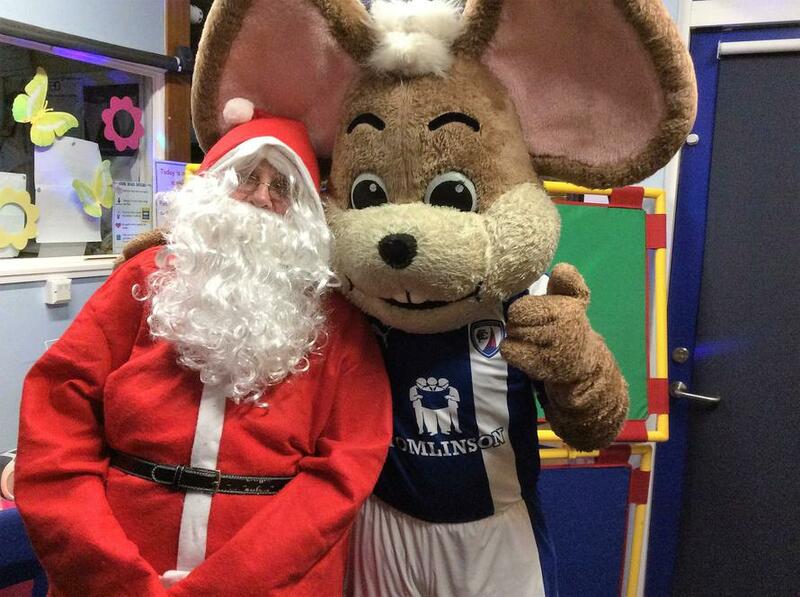 He enjoyed meeting the children and Santa! 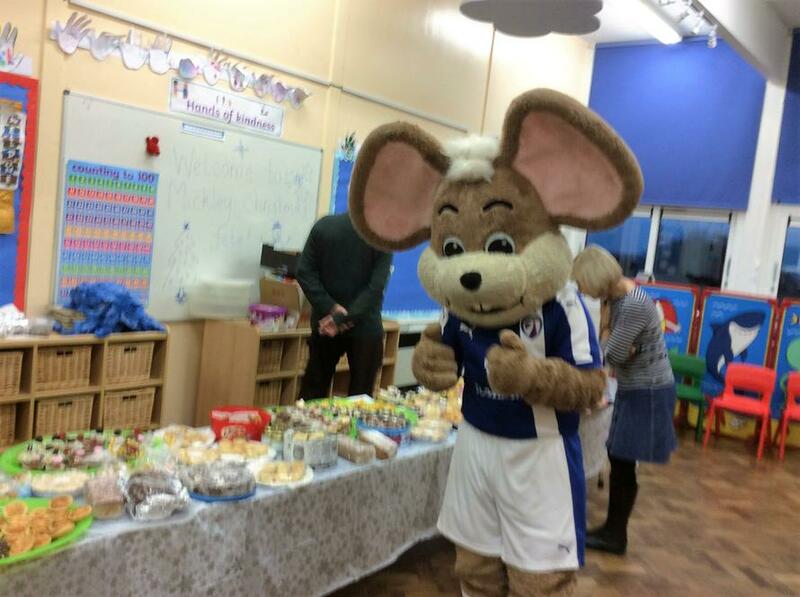 Chester ate lots of cakes! Thank you to all who supported our fete. A total of £384.32 was raised. All profits will go towards parties and extra activities for the children.